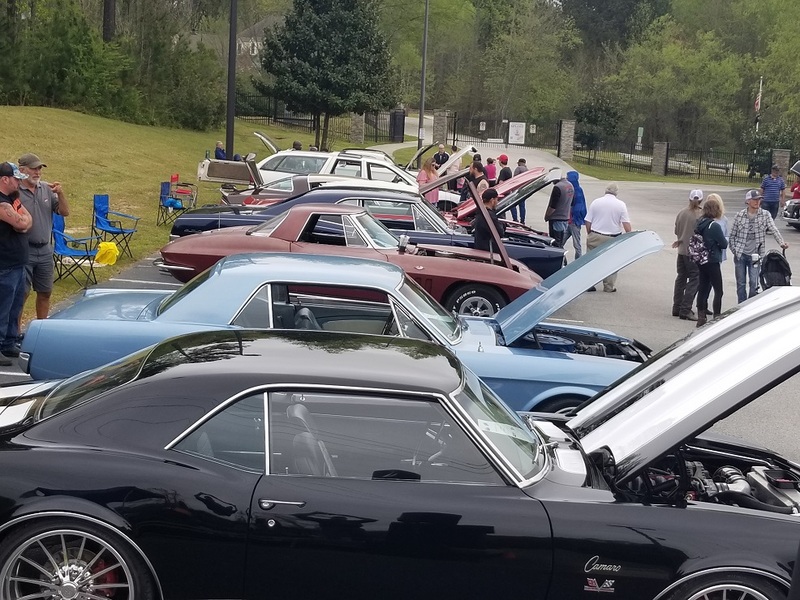 The Lake City Community Center is located at 5471 Jonesboro Road, Lake City, GA 30260 and sits adjacent to the lushly landscaped 22 acre Willie Oswalt Nature Preserve (5469 Jonesboro Road). The Grand Opening and Ribbon Cutting Ceremony were held on October 6, 2012. 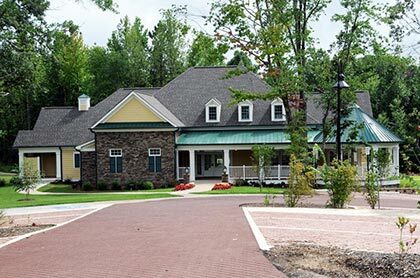 The Community Center is a 4,937 square foot multi-use facility designed for holding weddings, birthday parties, reunions and meetings. The building contains a full service kitchen, has internet access and a large event room. On the exterior is 1,181 square feet of covered porches, an event deck of 626 square feet and an event patio of 1,001 square feet. Rising to a height of 26 feet at its peak, the main room is covered by a roof made of architectural fiberglass shingles and 24 gauge painted metal roofing components. The floors are covered by Metroflor vinyl planking for long-term durability consisting of a hickory and oak wood pattern. There are over 395 types of trees, shrubs, and flowers planted around the Center and Nature Preserve. The three walking trails in the Willie Oswalt Nature Preserve start at the rear of the Community Center and meander throughout the 22 acre park. The cost to build the Community Center was $764,681.50 and was paid for with funds from the 2008 Special Local Option Sales Tax (SPLOST). The Center is available for rent from 8:00 AM until 11:00 PM. However, the rental period may only be for a continuous 8 hours and the renter must indicate, on the application, the 8 hour time period they wish to reserve. Set-up and cleanup must be included in the rental time period. Center viewings are on Tuesdays 3:00 PM to 7:00 PM and Thursdays 10:00 AM to 1:00 PM. Please call the City Hall to verify these dates and times because they are subject to change depending on the use of the building on those days. The Community Center Coordinator is Deborah Franklin-Walton and can be reached by email or by telephone. See Contacts on this website for her contact information. The Lake City resident/business discounted rate is restricted to two (2) rentals in any one calendar year. Any rentals beyond the allowed two (2) rentals will be at the Non-Lake City resident/business rate. A separate refundable $350.00 cash deposit is required for all renters. The deposit and application are required to book the desired date. The rental fee, which does not include any part of the deposit, is due no later than two (2) weeks prior to the date of use. The adjacent Willie R. Oswalt Nature Preserve is not part of the rental. The Nature Preserve is considered wetlands and a public park and under no circumstances can it be used for any private or public events. 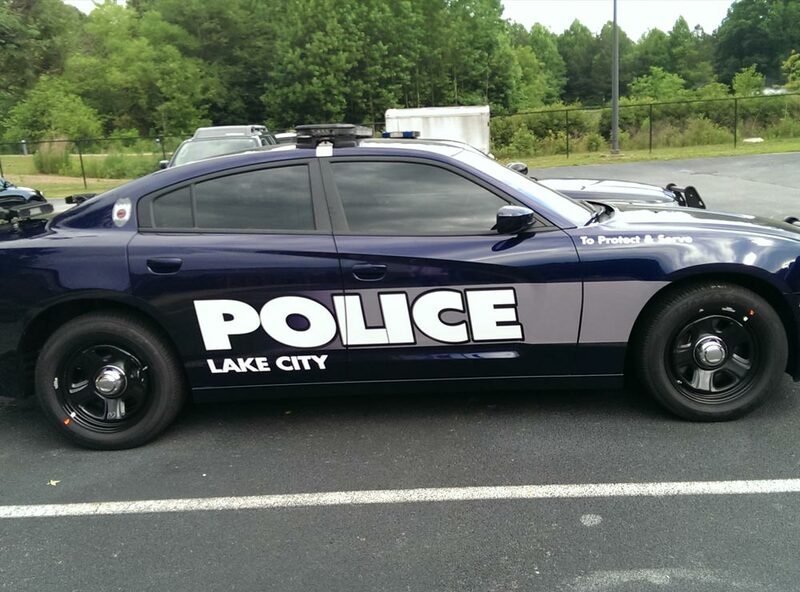 Lake City residents must show a current utility bill with a Lake City address and a photo ID or a valid Georgia driver's license or ID with a street address within the City limits. Contact the Lake City Municipal Hall at 404-366-8080 for more information on the rental of the facility.